We now continue our travails in SD. If you remember we had left off in the earlier page after we entered Custer, SD. We visited the wood carving museum in Custer. It had some great pieces of which we liked the following the best. 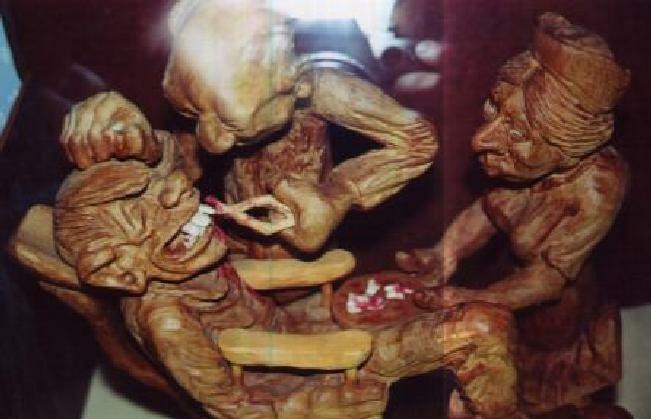 One of the best examples of wood carving at the musem in Custer, SD. A dentist of old times is at work ! 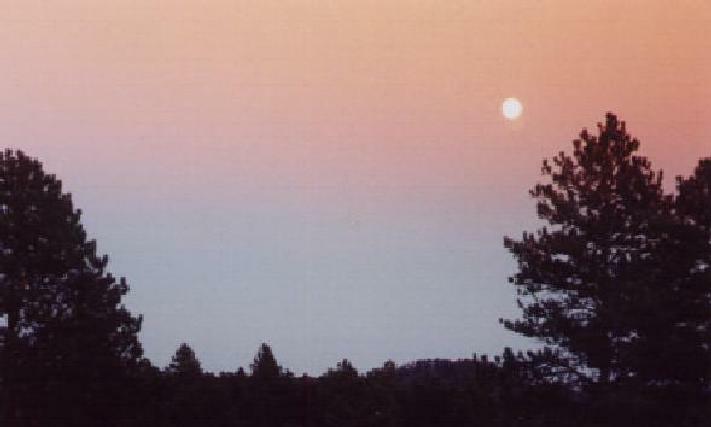 In the evenig we rambled around in Custer state park. 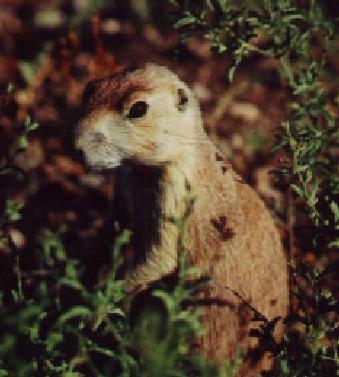 Its a nice 100 mile loop for wild life seeing and sight seeing. 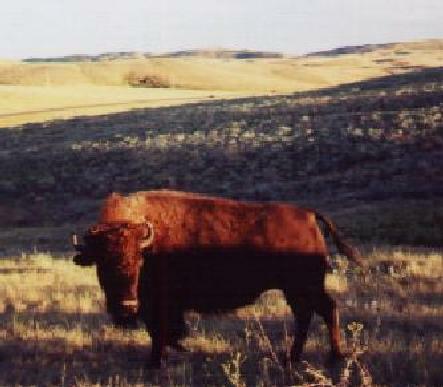 Bisons, Elks and similar animals roam this country side. 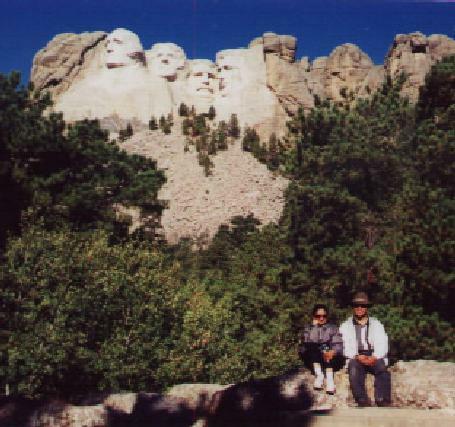 Our last sights in SD was the famous Mount Rushmore, that has the four US presidents carved on it. The amazing moutain carvings at Mount Rushmore. Each of the faces are more than forty feet high ! West west wild wild west where are you ? Its right here in Wyoming ! This state calls itself Like no place on Earth and sure it is. 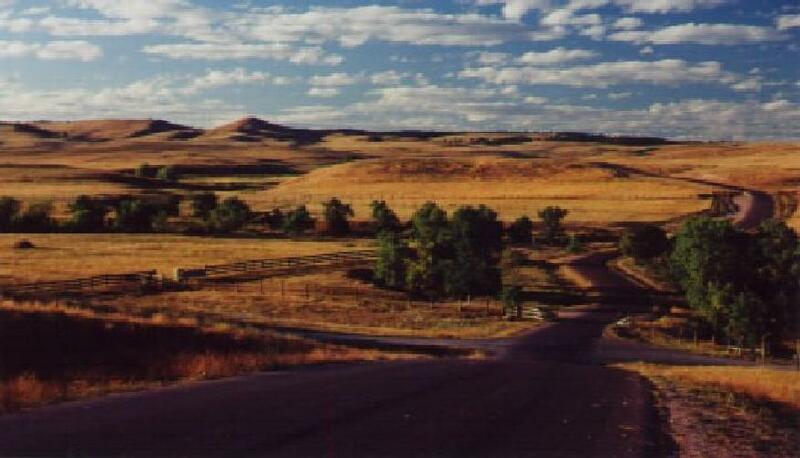 The rough praries from South Dakota lead you into the rougher rocky mountains. 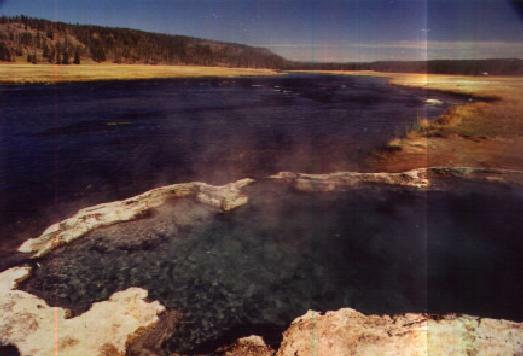 And then there is Yellowstone park. All that is coming as you scroll down. We first start with the Devil's tower situated on the border with SD. 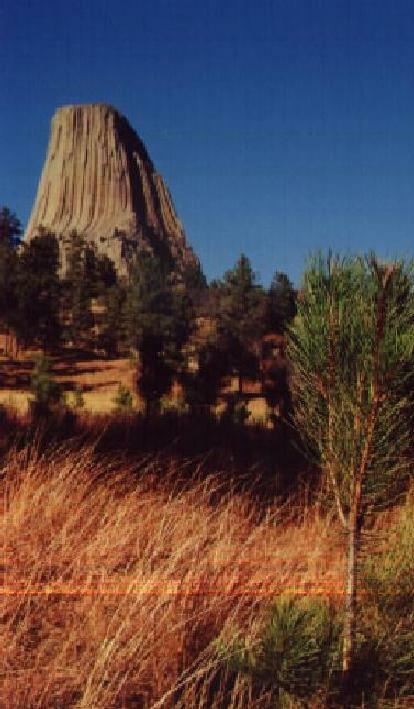 The unnatural formation of Devil's tower (WY) looms over the local vegetation. This tower is really high 867ft ! Praire dogs have made a huge town at the base of Devils tower. This ones pretty close for a view. 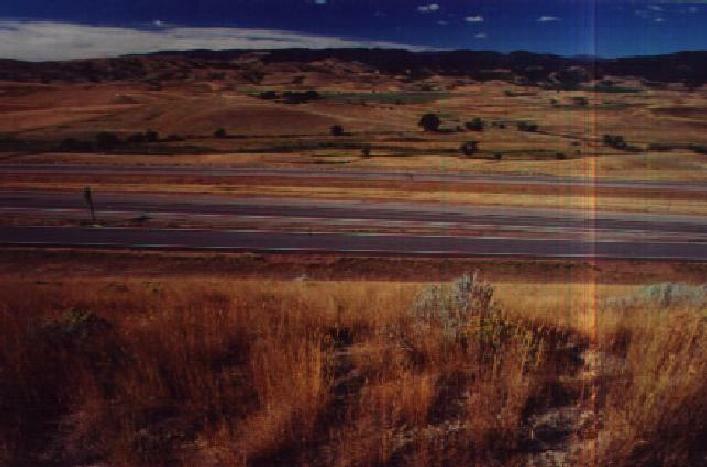 The interstate cuts across the prarie in this parts of the country, WY. 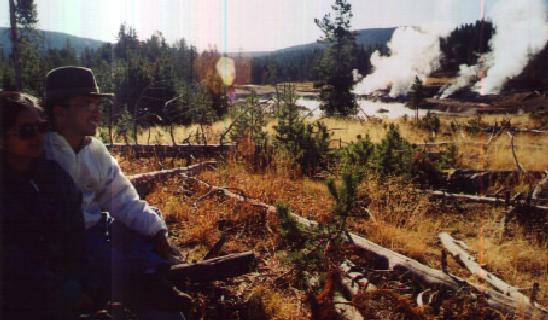 The mountains are seen in a distance in the background. Soon we were climbing the rockies. 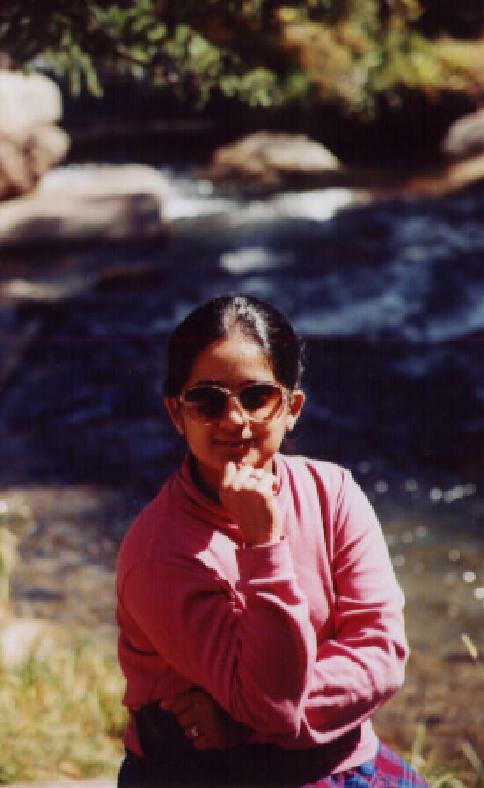 One of best things in these mountains is the sparkling rivulets that you find at every place. Some of the best places we found felt like they were untouched and fresh. We then visited a spot that is sacred to many Native American Indians (or if you prefer Red Indians). 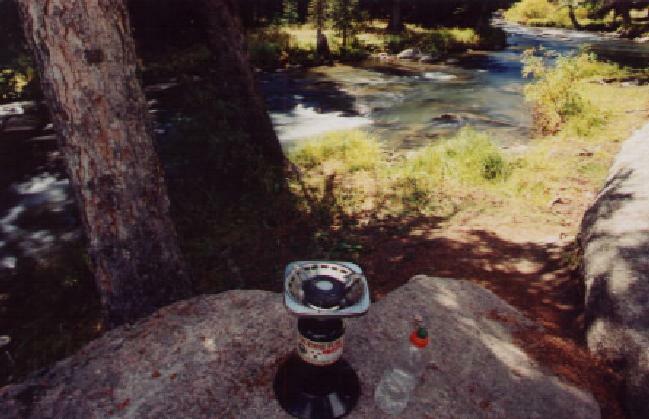 This spot was called as Medicine Wheel. It was a nice hike of three miles. 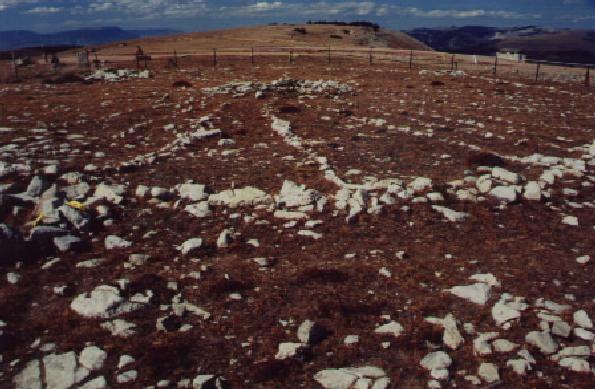 Here is a picture of the arrangement of the stones that form a wheel on the ground. 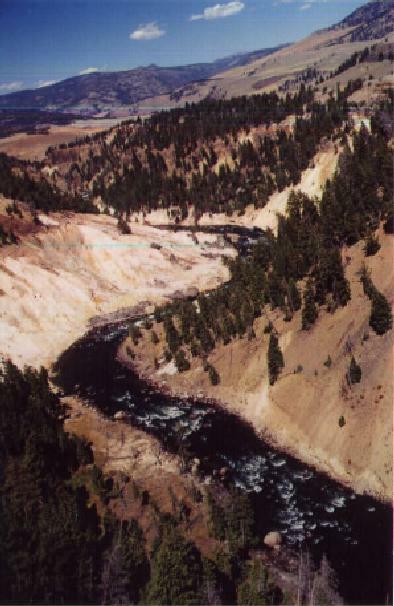 Montana simply says Travel Montana and does not claim to be any kind of state. We felt like it says Travel Montana and you will understand. Unfortunately we did not travel much in this state - one of the reasons being that this summer saw a lot of forest fires in here. Lots of roads were closed and all that. In whatever little we travelled, we liked it. 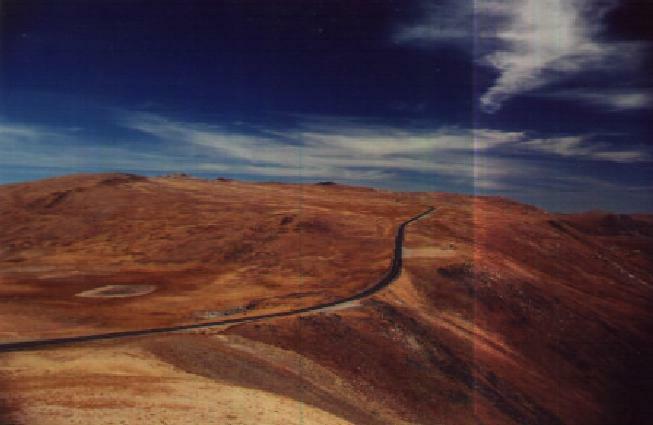 Its very rugged country with hills and plains. If we are right Jack Hanna (of tom and jerry cartoon fame) hails from Montana. Anyway here are a couple of pics. 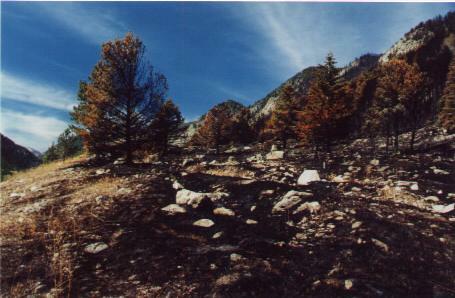 Pic here shows a whole mountain side that was burnt down by a wild forest fire. Lots of Montana was under ashes this summer. 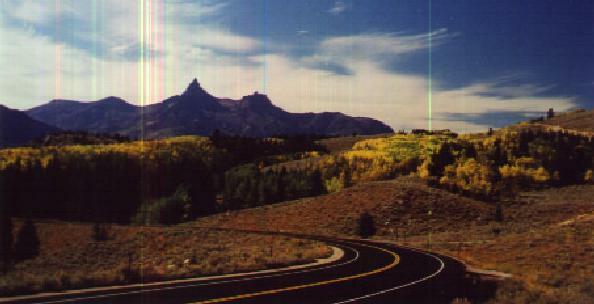 The Bear Tooth pass continues its rambles through the scenic rockies at times going above 10,000 feet above sea level. 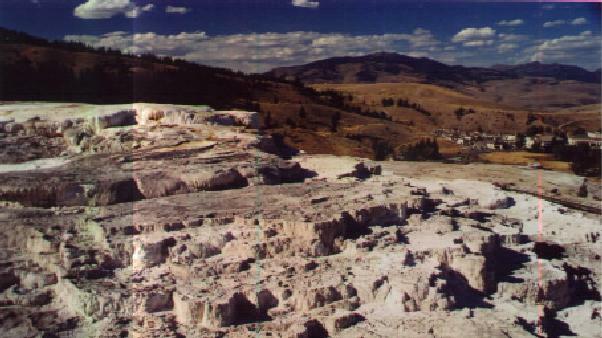 After the ramble on Bear Tooth pass the highway turns into Yellowstone NP. Whatever amount of words spoken, whatever number of pictures taken, cannot describe Yellostone in any way. However here are some pics for you to enjoy. Some of the scenery here is marred too, because of wild fires, but still its beautiful. This is a place of amazing natural phenomenon. Here you see us. In the background there are mud pots and volcanos spewing out steam and hot air ! 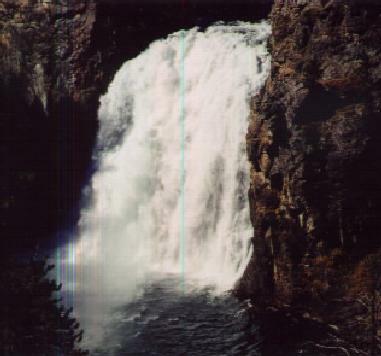 This is the upper falls of the two falls that the Yellowstone river goes through. 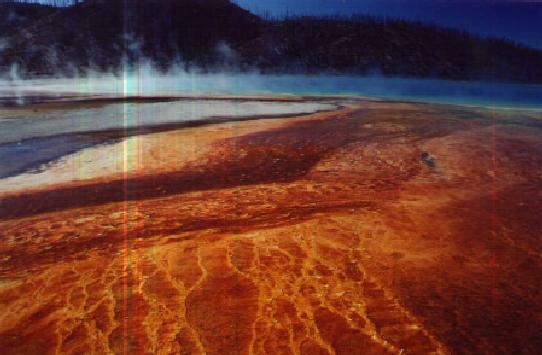 The grand daddy of all hot water springs: The Grand Prismatic Spring, Yellowstone, WY. This spring is more than 50 feet wide and much deeper. One of the best sites to see, but of course not to touch :-). 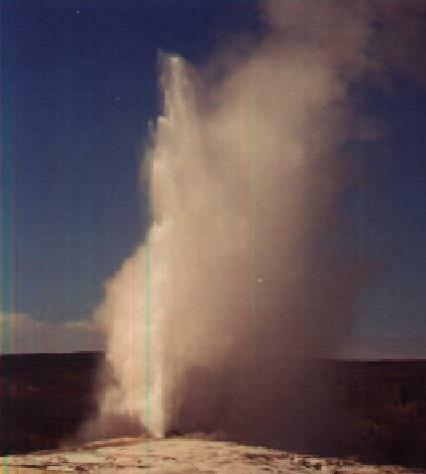 So that was some of the best things we saw at Yellowstone. 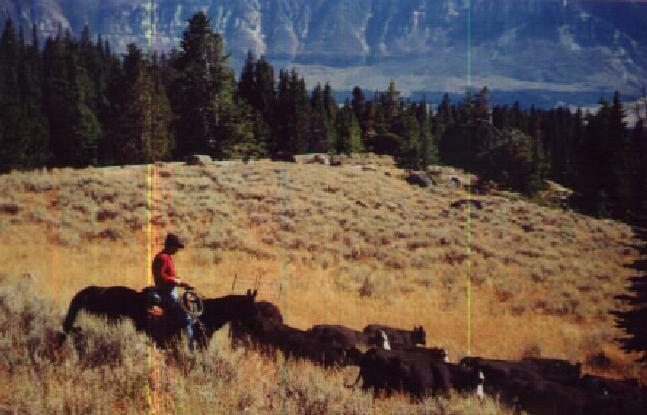 We now head further south to Utah through the Grand Tetons. We drove through the Grand Tetons NP next. 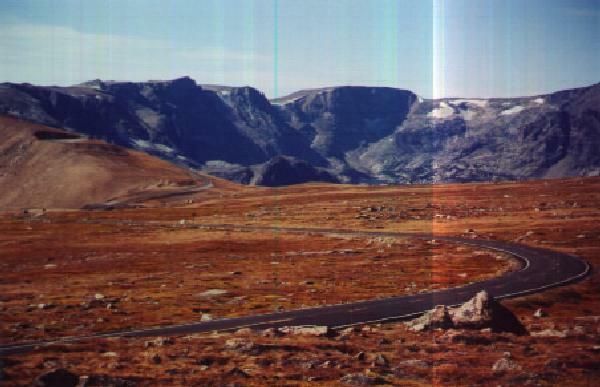 However most of the Teton range is not very accesible by road, you will need to hike. So what we got to see was what we saw from the road - here is one pic that we liked. 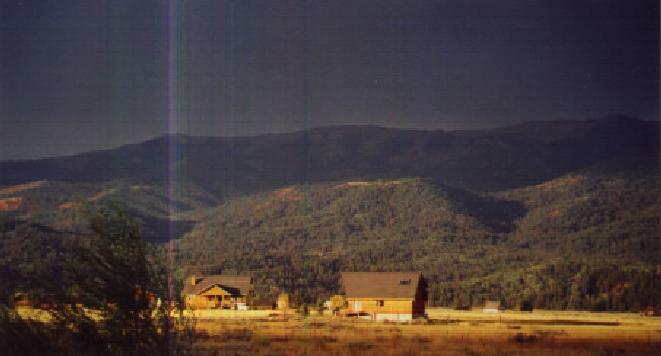 A small set of ranges at the base of the Teton Range. 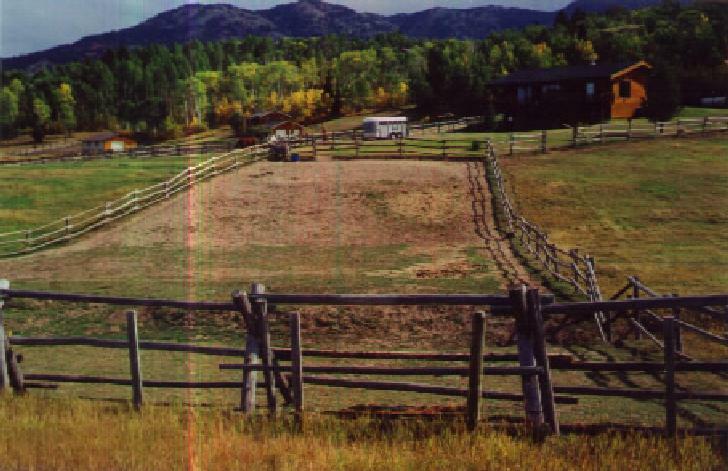 A horse ranch at WY is a common site. Here is one with its fantastic grounds, fences and all !